Do you want to celebrate the New Year with High Energy? Then get prepared to ring in 2018 at Sirico’s. For an awe-inspiring and over-the-top New Year celebration, Sirico’s is organizing a New Year Eve 2018 bash. Brooklyn’s most modern catering hall, with uniquely fashioned skylights (that bring the outdoors in); Sirico’s offers a touch of elegance. This makes it a perfect place to ring in 2018 with style, sophistication, and fun. How much to Spent to be a part of Sirico’s New Year Eve 2018 Party? You can be a part of our wonderful, highly energetic New Year’s Eve 2018 celebration by just spending only an amount of $155 incl. tax and gratuity. When does the cocktail hour start? We believe the New Year’s Eve night is your night. To fill up the night with enthusiasm and set you the right mood, our cocktail hour starts at 7:30 pm and it features around 24 items. What are the eating and drinking specials? On the New Year’s Eve 2018 celebration, Sirico’s have some exclusive eating and drinking specials to satisfy the taste buds and quench your thirst. Delicious Dinner Treat to Die for: Penne Vodka or Rigatoni Filet di Pomidori prepared by the most experienced and professional chef in Brooklyn, NY at Sirico’s. What about the Entertainment factor? To create a high voltage effect and awe-inspiring momentum, Sirico’s have arranged a live streaming or live TV broadcast from the hot and happening New York’s Times Square to watch the World-Famous Times Square Ball Drop. 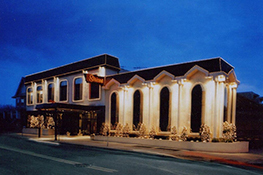 As an elegant party venue in Brooklyn NY, Sirico’s has extensive years of experience in hosting specialized events like wedding receptions, sweet 16 parties and more. To offer our customers the comfort, convenience and complete peace of mind for enjoying the New Year Eve’s 2018 bash, we are providing valet parking facility. 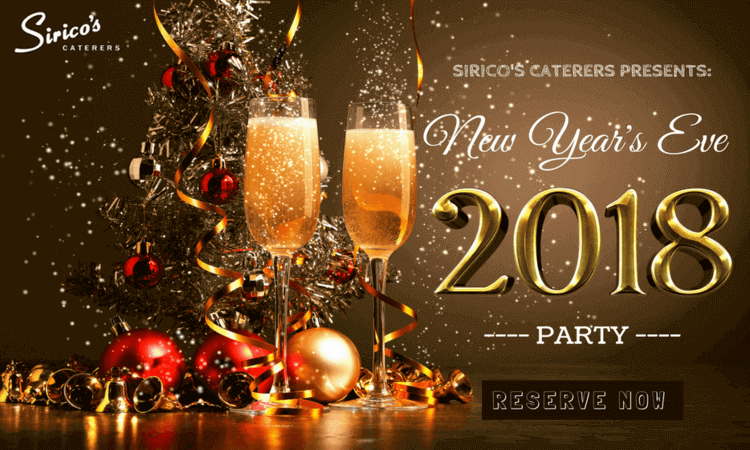 To make your last night of 2017 memorable and welcome 2018 with great enthusiasm, contact Sirico’s Caterers today to buy a ticket for being a part of our high-voltage New Year’s Eve 2018. For buying New Year’s Eve 2018 party ticket at just $155, call us today at 718-331-2900!